We specialise in the repair and sales of Computers Systems, Printers, Photocopiers and more. 4 Mat Digital can trace its heritage back to 1984 when Kent Taylor opened a Photocopier shop on Friargate and very soon after Chris Boyle opened a computer shop only a few doors away. Back then photocopiers were expensive, very large and by today’s standards very slow. Computers cost thousands and had as much computing power as you will find in a £10 pocket calculator today. Little did they know that in 20 Years time they would still be trading and their two businesses merged as one to provide a complete service to their Home and Business Customers. Today from our Modern premises on Friargate we can deliver first class service across a wide range of products from a printer cartridge to a full networking solution to meet the requirements of any Home user or Business. We pride ourselves on taking time to listen and understand the needs of all our customers so we can deliver the right package for the job. 4 Mat Digital sells and repairs all of the following technologies. We have a comprehensive workshop facility and qualified in-house engineers. 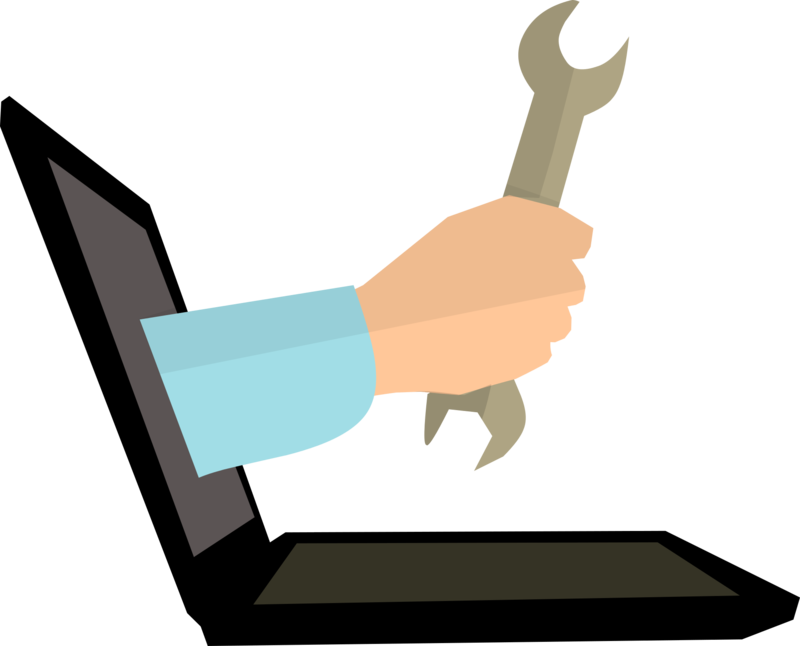 Our engineers can provide a first class repair & upgrade service to both home and business customers. For more info on our stock and our prices, please get in touch with us. 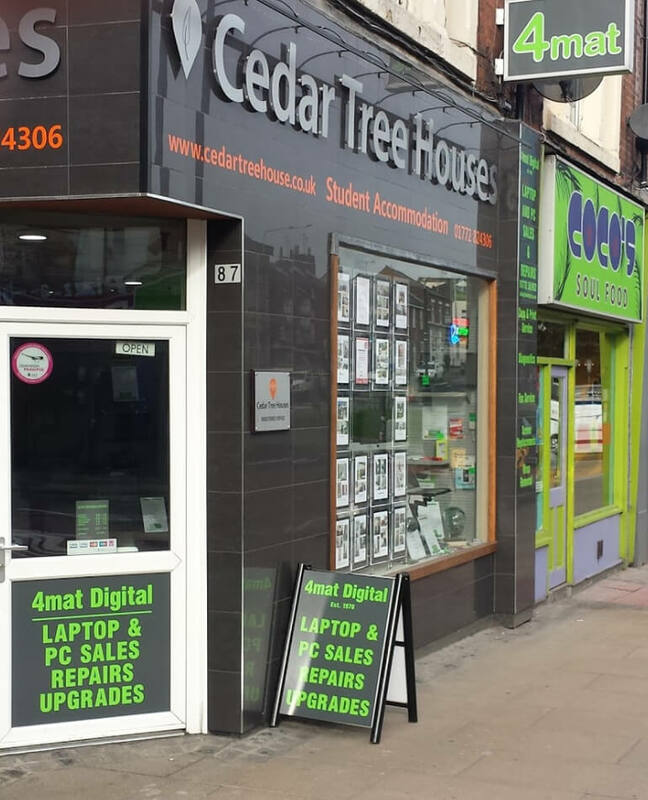 We are located at Cedar Tree House, 87 Friargate, Preston, PR1 2ED and are open Mon-Fri at 9.15am until 5.30pm, and from 10am until 4pm on Saturdays. Is your Computer on the blink? Come down to 4Mat Digital and see what we can do, with years of experience behind us we are sure we can be of help! Please be aware that it is not always possible to diagnose problems 100% over the phone however we will always offer the best advice and guide you down the right path to a solution. Please feel free to contact us via the form below, by phone or email. Please see our opening hours below, these times may be affected by bank holidays. 4Mat Digital Limited | All rights reserved. 4 MAT DIGITAL COPIERS LIMITED is committed to ensuring that your privacy is protected. Should we ask you to provide certain information by which you can be identified when using this website, then you can be assured that it will only be used in accordance with this privacy statement. 4 MAT DIGITAL COPIERS LIMITED may change this policy from time to time by updating this page. You should check this page from time to time to ensure that you are happy with any changes. This policy is effective from May 2018. If you have previously agreed to us using your personal information for direct marketing purposes, you may change your mind at any time by writing to or emailing us at sales@4matdigital.co.uk. You may request details of personal information which we hold about you under the Data Protection Act 1998. A small fee will be payable. If you would like a copy of the information held on you please write to Cedar Tree House, 87, Friargate, Preston PR1 2ED.